The two people who were onboard a microlight aircraft which apparently crashed off the Co Antrim coast have been named. 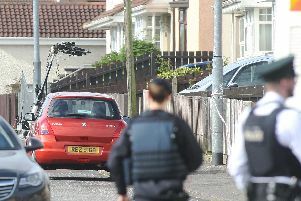 Their aircraft had left the City of Derry airport on Thursday, and was believed to have been bound for the UK mainland. The News Letter has been trying for days to definitively establish their identities. On Tuesday evening, the PSNI said the missing pair are 66-year-old Terry Driffield and 68-year-old Ray Hymas. Both are from North Yorkshire. “The Community Rescue Service team will continue in their search of the area and they along with police will continue to respond to any sightings reported. “I would like to thank all agencies concerned for their continued support. “Over the coming days we will continue to work with search and rescue teams, when called upon.